Drug & Alcohol Rehab Centers in Cambridge are here to help begin your recovery! Across the Charles River from Boston, lies the town of Cambridge, Massachusetts. Home to Harvard University and the Massachusetts Institute of Technology (MIT), enrolled college students account for 30.7 percent of the total population (109,694). According to the 2016 American Community Survey, 74.9 percent of residents over 25 received either a four year bachelor degree or a graduate degree; only 5.9 percent of adults did not graduate high school. Furthermore, an estimated 14 percent of all individuals and 8.4 percent of all families had incomes below the poverty line. Relative to the state’s median family income of $90,180, Cambridge has an average family income of $107,897. Nationally, this number drops to $67,871. 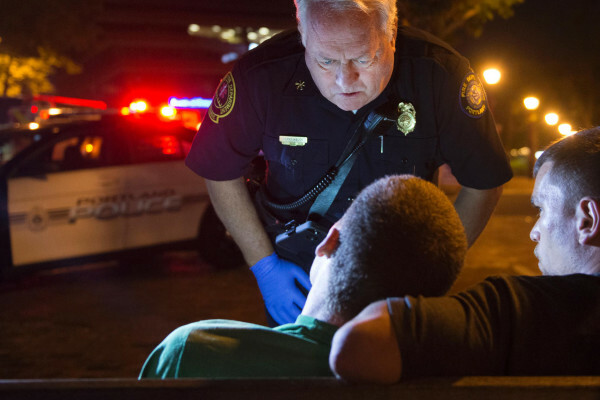 Although Cambridge is doing well in many aspects, the local police department reports that, unfortunately, “Like many communities throughout the United States, is struggling with issues relating to drug dependence and opioid related overdoses” (2016). According to the Boston Patch, “A multi-agency investigation in the greater Boston area—dubbed High Hopes—yielded a ‘staggering’ amount of fentanyl and the arrests of dozens of suspects”in 2017 and 2018. Investigators confiscated more than 15 kilograms of fentanyl, 6 kilograms of heroin, about 8 kilograms of cocaine and 6,000 tablets of opiate painkillers from two groups of traffickers, over the past six months. To clarify, fentanyl is an opioid narcotic that doctors prescribe to treat severe pain, however, more and more people have developed an addiction to this drug. Other opiate painkillers include: codeine, hydrocodone, hydromorphone, oxycodone and acetaminophen (to name some). From 2012 to 2016, the number of opioid-related overdose deaths in Middlesex County (the district to Cambridge), significantly rose each year. The Massachusetts Department of Public Health, shows that in 2012, 122 people died, and in 2013 this number increased to 155; then 2014 had 273 opioid-related deaths, and in 2015 this number came to 354, and finally in 2016, a total of 392 people died. Opioid deaths between 2000 and 2016 totaled 2,568 in Middlesex County (far exceeding every other county in Massachusetts). As reported by the Office of National Drug Policy, in 2010, “Approximately 12.12 percent of Massachusetts residents reported past-month use of illicit drugs”. Comparatively, the national average was 8.82 percent. Out of the total primary drug treatment admissions in Massachusetts (from 2009 to 2010), heroin was the most commonly cited drug. Disturbingly, reports have revealed that drug dealers have started mixing in fentanyl to their heroin because a small amount of fentanyl dramatically increases the potency. This mix of heroin and fentanyl has greatly contributed to the 2,500 overdose-deaths that took place in Middlesex County between 2000 and 2016. To Specify, heroin is a substance produced from morphine, and is normally sold as a white or brown-tinted powder (cut with starch, sugars, quinine or powdered milk). Highly pure heroin (white powder) typically gets snorted or smoked, while impure heroin (“black tar”), usually gets injected into veins, muscles, or under the skin. Although injecting created the strongest affect, all procedures cause considerable long-term damage. In 2013, the Cambridge Public Health Department, showed that 20.3 percent of middle school students claimed to have consumed alcohol in their lifetime. In contrast, the state average was slightly lower with 20 percent. That same year, heavy drinking for adults in Cambridge came to 5.9 percent, surpassing the 5.1 percent national average; but remaining lower than the state’s average of 6.7 percent. With binge-drinking, however, Cambridge had a 20.5 percent rate, thus exceeding both Massachusetts (17.7 percent) and the US (15.6 percent). Regarding drunk driving, MADD reports that from 2003 to 2012, 1,370 people died as a result of alcohol-related crashes in Massachusetts. On the national-scale, 1.9 percent of adults admitted to driving after drinking to much, while 2.2 percent of Massachusetts residents confessed this. To reduce this number, the state has issued a law making it so drivers’ at or over an 0.08 percent blood alcohol content level will receive a DUI charge with significant penalties. Additionally, law enforcement uses sobriety checkpoints every so often. Lastly, Massachusetts has incorporated ignition interlock laws, in which a past DUI offender cannot start their vehicle if the installed interlock system detects a BAC above 0.02 percent. How Does Substance Addiction Form? One study from the National Survey on Drug Use and Health, found that ,“Some children are already abusing drugs at age 12 or 13, which likely means that some begin even earlier”. Typically early abuse involves such substances as alcohol, marijuana, inhalants, tobacco, and prescription drugs (found in the household). As drug use persists into teenage years, abusers tend to get more heavily hooked to marijuana and drinking, and gradually transition to other drugs. Multiple studies have linked drug abuse in late childhood and early adolescents to a greater drug involvement in late adolescent and young adult years. Why do some individuals develop a drug addiction while others don’t? One scientific explanation highlights the biological cause, such as if a father or grandfather struggled with drug abuse. Another logical explanation is that an adolescent that uses will typically choose a peer-group that exposes that individual to other more addictive drugs. Addiction to drugs may develop and escalate in order to self-medicate, to cope with anxiety, to gain more confidence, and a handful of other reasons, so there’s no one-size-fits-all answer; Many factors are at work. Marijuana is a “greenish-gray mixture of the dried flowers of Cannabis sativa”; it has a variety of nicknames, such as: weed, pot, herb, bud, ganja, grass, and a handful of other slang terms (National Institutes of Health). This substance can be brewed as tea, or baked into items like cookies or brownies, but it’s most commonly smoked in hand-rolled cigarettes (joints), blunts (rolled in cigar wraps), pipes or water pipes. Recently, vaporizers have risen in popularity to smoke weed. Does smoking marijuana increase your chances of using other drugs? The NIH reports that some research “suggests that marijuana use is likely to precede use of other licit and illicit substances and the development of addiction to other substances”. One longitudinal survey by the National Epidemiological Study of Alcohol Use and Related Disorders, found that adults who used marijuana during the start of the project, were more likely than participants who did not use marijuana to develop an alcohol use disorder within 3 years. Those who used pot and had a current alcohol use disorder at the beginning were at significant risk for the disorder worsening. Lastly, this study linked marijuana use to forming other substance use disorders, such as nicotine addiction. Along with a number of other research, these findings point to the notion of marijuana as a “gateway drug”. What Does Opiate Addiction Look Like? Opiates covers a large range of drugs, such as fentanyl, morphine, codeine, and heroin and opium. Physical signs of opiate abuse involves: constricted pupils, confusion, slowed breathing, noticeable euphoria, drowsiness, going in and out of consciousness (“nodding off”), and constipation. Other common signs include: isolation, “Doctor shopping” (receiving various prescription from different suppliers), dramatic mood shifts, growing financial problems, and extra pills bottles thrown in the trash. Coming off abusive opiate use includes: anxiety, sweating, sleeping problems, headache, diarrhea, nausea, and fatigue. Increased medical issues, ranging from “secondary to intravenous administration” (eg embolic events, localized abscesses, contraction of bloodborne illnesses, systemic infection). Extreme respiratory depression; “cumulative hypoxic end-organ injury”. What Does Alcohol Addition Look Like? Common signs of alcohol abuse include: lack of coordination, slurred speech, disorientation, agitation or anxiety, bloodshot eyes, receptive/rambling statements, difficulty standing up or walking, and blank or expressionless stares. Other symptoms involve: headaches, blackouts, trouble breathing, nausea, distorted vision and hearing, and impaired judgment. Withdrawal symptoms significantly impacts physical and mental state; how frequently and for how long an individual consumed alcohol will affect the level of withdrawal severity. Side-effects may include: depression, anxiety, shakiness, nightmares, fatigue, headache, nausea and sickness, fever, and irritability. Additionally, withdrawal may include the occurrence of delirium tremens—“a severe form of alcohol withdrawal causes confusion, tremors and hallucinations”. Delirium tremens mostly effects those who “drink the equivalent of one pint of liquor every day for several months”. How Does Substance Addiction Affect the Family? Substance addiction has the power to rip families apart, affecting marriage, sibling relationships, as well as grandparents, and other members. As drugrehab.org notes, “An addiction can cause tension, miscommunication, and more frequent arguments within a household, raising the stress levels and negativity off all who are within this unhealthy atmosphere”. Due to the unpredictable and destructive nature an abuser, other family members are faced with greater responsibilities, as they experience heightened emotions, uncertainty, and tension. As the person’s problem gets worse, the blame, resentment, hate, anger, and fear among family members significantly heightens. Regarding family ties, addiction can create situations of financial instability, isolation, enabling, and codependency, as well as struggles for adult children (some parents may grow dependent on the “relationship of their grown children in an unhealthy way”), and continuing familial damage (Drugrehab.org). Detox: Ridding of all toxins of the body by withdrawing off drugs for several days. Assessment: Rehab center collects information regarding family and medical background, as well as current and past mental-state. Intake: Patient begins a program in either a residential or outpatient program. More staff and patients get introduced and more information is documented about the newcomer. Sober living: The ultimate goal after going through a rehab recovery program. What About a Sober Living Home? Simply put, sober living homes are group homes for addicts. This option works extremely well for certain individuals. Benefits include: living among others who understand your struggle, frequent communication with a support team and leader(s), developing a structured and disciplined lifestyle, and living in a drug-free and alcohol-free place. Before entering, it’s important to fully detox off drugs and/or alcohol, as well as finding a family or friend that will sponsor (support and vouch) for you.